On 7 December 2017, an article on a diplomatic visit that will be paid by Turkish President Recep Tayyip Erdogan to Greece was published in the Guardian in which it was claimed that President Erdogan has become isolated internationally since the July 15 coup attempt in Turkey. “Erdogan, whose relations with Europe and the US have become strained amid growing condemnation of his crackdown on democratic institutions, has made few trips to the west since a foiled coup attempt against him last year and he has become increasingly isolated internationally,” read the article. It is true that the Turkish president made fewer trips to the west when compared to the rest of the world. Many western states do not recognize FETO as a terror organization, refuse to extradite putschists who have taken refuge in their countries to Turkey, and failed to give support to the Turkish government in the face of the July 15 coup attempt in which 249 people were killed, 2196 people were wounded and the Grand National Assembly of Turkey was bombed. But the claim that President Recep Tayyip Erdogan of Turkey “has become increasingly isolated internationally” since the coup attempt last year is highly inaccurate given that the western states constitute only a part of the international community. President Erdogan made 36 diplomatic trips, excluding his recent trip to Greece. Countries include the US, Russia, China, Iran, India, Pakistan, Saudi Arabia, Belgium and Germany. 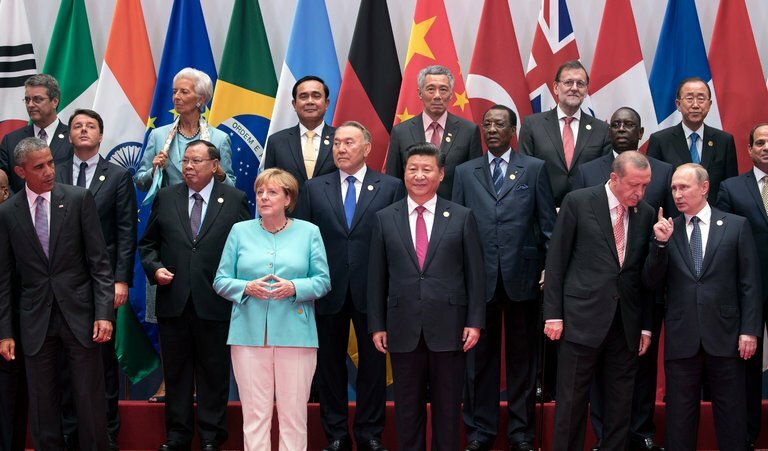 President Erdogan attended UN meetings in the US since the coup attempt, G20 summits in China and Germany, the NATO meeting in Belgium, the Sochi summit in Russia – that consisted of Turkey, Russia and Iran – and several other international forums and meetings where he also held meetings with various world leaders on the sidelines of those organizations. Moreover, Turkey is one of the key players which seek to find a sustainable solution to the Syrian war. The Guardian changed its article after our fact-check, deleting the claim that Turkish President Recep Tayyip Erdogan "has become increasingly isolated intenationally" and turning "few trips" into "fewer trips" to the West.